Snowmaking in progress at Cataloochee Ski Area, Appalachian Ski Mountain, Beech Mountain Ski Resort and Sugar Mountain Resort. 1-3 inches of natural snow has also fallen in the last 24 hours. Snow making will continue through the week will all four Ski facilities anticipating opening on Dec 3, 2011. December 3 & 4 - Appalachian Ski Mountain celebrates it's 50th birthday this weekend with a rollback of prices to the "good old days". Ski tickets: are only $5.00 (prices good for day session only). Appalachian Ski Mountain expects to make snow as much as possible this week, anticipating opening Friday, December 2nd. The official decision regarding opening day will be made on Thursday, December 1st. Anniversary weekend is scheduled for this coming Friday and Saturday, with all sorts of fun and unique events and specials if cold temperatures are present. December 4 is the 10th Annual Can-U-Ski Food and Coat Drive for Haywood Christian Ministries. 10 cans of food (or more!) and/or a warm winter coat in good condition will get you a FREE LIFT TICKET from 8:30am-4:30pm on Sunday, December 4 only. It’s a $58 value. Celebrate the season by helping give back to the community by sharing with others. It’s a great way to start the holidays and have some fun with your friends at Cataloochee as well. Cataloochee Ski Area plans reopen for daily operations on Saturday, December 3 at 8:30 AM. As usual, opening will depend upon weather conditions, currently predicted to be cooler as the week progresses. Inverted temperatures - meaning the higher elevations have warmer temperatures than lower elevations - are lingering through the weekend, preventing the snow making which would allow ski resorts and area to open this weekend. Sugar Mountain Ice Skating is open today , tomorrow and Sunday for sessions at 10, 12, 2, 4, 6, and 8 PM. Colder temperatures have not returned as anticipated so Cataloochee will remain closed on Wednesday, November 23 and will make a decision as to operations on Thanksgiving Day based on the ability to make snow and on temperatures on Wednesday evening. Enjoy the convenience and affordability of Sugar Mountain Resort Winter Value Packages with savings on lodging, lift tickets, rental equipment, even lessons for the whole family - all without the peak-season crowds. The Resort guarantees savings of 30-40%*. Cataloochee plans the following operating schedule for this week, but snowmaking and weather conditions will determine the actual schedule. Final plans will be announced after 5 PM on Tuesday, 11-22. Cataloochee will not operate on Monday, November 21 and November 22 but plans to reopen for day skiing only on Wednesday, November 23 from 9 AM until 4:30 PM with weekday lift tickets in effect. Sugar Mountain Ice Skating will be open for sessions today at 10 AM and 12 PM. Skiing and boarding will be closed until later in the week. Sugar Mountain will be open again today with 2 slopes and one lift, a depth of 6-18 inches. Ice Skating is also open for sessions today at 10, 12, 2, 4, and 6pm. Tubing is still closed. Sugar Mountain has re-opened today with snow making in progress. Two slopes are open with one lift and a depth of 6-18 inches on a man-made packed powder surface. Sugar's 10,000 ft outdoor ice rink will be open for sessions today and Saturday, November,19th, ice skating will be open for sessions at 10, 12, 2, 4, 6, and 8pm. Sunday, November 20th, ice skating sessions will be at 10, 12, 2, 4, and 6pm. Cataloochee started making snow yesterday in anticipation of re-opening on Saturday, November 19 for skiing from 8:30am-4:30pm. Forecasts indicate that snow making should be able to continue through tonight. Persons planning on skiing this weekend and next week are asked to call the area after 5 PM on Friday, November 18 for an update on snowmaking and reopening. Nov 17 - Appalachian’s scheduled Opening Day (originally Nov 18) for its 50th Season will be postponed until snowmaking temperatures allow for ongoing skiing operations. Snowmaking staff and equipment are on standby and awaiting sustained temperatures in the 20’s or lower. With weekend daytime temperatures predicted to be between 40 and 60, it's unlikely there will be skiing before next weekend. 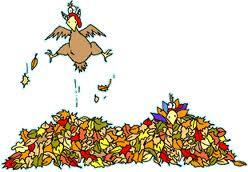 You can spend your Thanksgiving at Sugar Mountain Resort this year with a Thanksgiving Turkey Treat. For one low price, you can ski/ride any four sessions during the four days of the Thanksgiving weekend. This offer expires Monday, November 21st at 4 pm. Weather permitting, Appalachian Ski Mountain will open for the 2011-12 season on November 18 and kick-off its 50th year of operation. FREE SKI TICKETS to the first 100 guests at the ticket window. Additional specials will be offered on opening day. Get a link and more information about Appalachian Ski Mountain HERE. Find ski lodging in Blowing Rock NC. Cataloochee officials report an enjoyable opening weekend and extends a specials thanks to everyone for coming out. With older temperatures predicted to return midweek, snowmaking will resume as quickly as weather permits. The Ski Area will be closed Monday - Friday and reopen for the season on their Early Season operating schedule on Saturday, November 19. Cataloochee is open again today from 8:30 AM - 4:30 PM with an average depth of 12"" - 30", with 4 trails and 2 lifts open for daylight skiing. No new snow is being made. The temperature is 43-54 degrees F and cloudy. Cataloochee SKi Area opens for 2011-2012 November 12! Thanks to Mother Nature for bringing us the cold temperatures! Also, a BIG HIP HIP HOORAY to all of our very hard working staff! We are excited to announce that we will be open Nov. 12th, so come on out and make the first turns of our 51st season. Special $25 lift ticket, with regular rental rates. Don't forget midweek season passes are valid this weekend! Hours: Saturday & Sunday 8:30AM-4:30PM, Closed for the week. Snowmaking tonight will determine on what slopes will open tomorrow. We will be closed Monday-Friday, and reopen Saturday Nov. 19th with our early season schedule. Make sure to check the website for our Early Season Hours Schedule, and for any opening or closing changes. North Carolina Ski Resorts and Ski Areas are waiting with guns (snow guns, that is) at the ready for Mother Nature to bring on the cold weather. State-of-the-art snow making machines can't do it all. A minimum of 36 to 48 hours of below freezing temperatures are need to properly prepare the slopes to begin building a usable snow surface. The last two years have seen record early cold weather allowing longer ski seasons than usual. With a cold front predicted for this weekend some of the NC resorts are hoping to be open by the Thanksgiving holiday, if not before. According to NC economists, the Ski Industry adds about 150 million dollars to the North Carolina economy each year and hundreds of seasonal employees are added to local workforces. Beech Mountain Resort will again offer the 30/20 plan for the weekday skiing! The 30/20 plan offers $30 day/twilight tickets for Monday-Friday and $20 night tickets for Monday-Thursday, with holiday periods excluded. The Ski Resort is now offering the Super Saver Season Pass sale for it's third year. The sale highlights 200 unlimited season passes for only $375. Get more information about Beech Mountain and other NC Ski Resorts HERE. The Snowshoe Guided Tours at Sugar Mountain are a great way to stay fit during the winter months! Snowshoe tours will be offered during ski season every Monday, Wednesday, and Friday at 3 PM and Saturday at 9 AM and 3 PM. Based on instructor availability, additional tours will be given on demand for groups of 4 to 15. The program includes a 1 hour tour and snowshoe rental. Cost is $20. Adult tours are for 12 years or older. Children's tours are for 8-11 year olds. Sign up at least 15 minutes prior to your tour time at the Ski/Snowboard School. Get your North Carolina Gold Card before they're all gone. Gold Cards are sold in limited number, 100, and the cost for the 2011-2012 ski/snowboard season is $795. There are no "blackout" dates for the Gold Card. The purchaser may ski/snowboard at any resort during any session regardless of holiday / weekend rates. Cataloochee offering Early/Late Season Group Skiing Savings! From opening day through December 16 and anytime after March 1, Cataloochee offers pre-reserved groups of 15 or more, one LOW package price to ski any one session - day, twilight or night! For only $30... your group will receive a lift ticket, ski or snowboard rental and ski or snowboard lesson for a day, twilight or night skiing session at Cataloochee! Call 828.926.0285, ext. 318 or email groupsales@cataloochee.com for more information and to book your group trip NOW! And remember, Cataloochee group pricing will not go up for the 2011/2012 season! Will Appalachian Ski Mountain be the first to open for 2011-12? 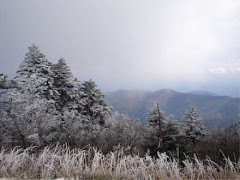 November 18 - Appalachian Ski Mountain has tentatively scheduled 11-18-11 as the Opening Day for the 2011-12 NC Ski Season. If weather conditions permit, the Novemebr 18th opening will kick off with FREE TICKETS to the first 100 guests at the ticket cashier window. Additional special deals are being planned.